Over the past year or so, there has been a lot of talk about drone technology or, more specifically, its use retail supply chains to make deliveries. Earlier this year, the first U.S. commercial drone delivery was successfully made by 7-Eleven Inc. and flying robot software company Flirtey. And while this is just one example of the rapid advancements that are taking place with unmanned aerial systems, it seems demand for stricter policies and regulations evolving just as - if not more - quickly. 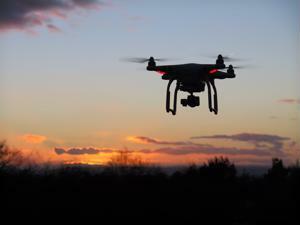 After receiving an increase in the number of reported incidents involving these autonomous vehicles, last year the Federal Aviation Administration said that it was going to develop guidelines and requirements that would aim to create a safe operating environment for them. Finally, those plans are starting to emerge - though some would say they are not doing so nearly as quickly or specifically as they should be. Today, the new U.S. rule, or Part 107, for the use of small commercial drones goes into effect, The Wall Street Journal reported. This means that, to obtain a pilot license, individuals will need to meet certain requirements. It also prohibits operators from flying the machines at night. However, the source indicated that regulators still have a long way to go in properly addressing the wide range of concerns and issues regarding drones. For example, a pressing topic that isn't included in the new rules is how federal agencies are going to regulate and ensure the protection of privacy. Furthermore, The Wall Street Journal explained that rules need to be developed that are more in-depth and specific, especially for using the drones in more complex environments, such as at high altitudes. According to the source, FAA Chief Michael Huerta has explained that, although finding a way to safely and effectively establish a way to permit the use of drones in U.S. airspace is its primary area of focus right now, the agency is not able to "act at the [traditional] speed of government." The Wall Street Journal added that the FAA expects to receive "tens of thousands" of applications from people wanting to be registered as drone pilots. And it is not just for making deliveries that licenses are of interest to individuals. Commercial use of unmanned vehicles is gaining popularity for a wide range of operations, the source noted, from conducting building inspections to spraying crops. Last week, the FAA issued a statement explaining that, under the new rule, anyone "flying a drone must have a remote pilot certificate with a small UAS rating, or be directly supervised by someone with such a certificate." Furthermore, in order to obtain such a license, applicants will need to pass an aeronautical knowledge test and/or complete an FAA UAS training online. Additionally, the agency said, no one will be able to receive their certification unless they have passed a security background check with The Transportation Security Administration.